Florida holds a 26-9 all-time edge over South Carolina. 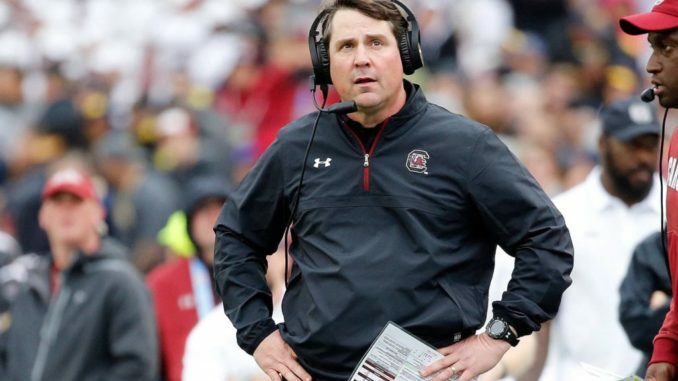 South Carolina won last year’s game, in head coach Will Muschamp’s second year as head coach of the Gamecocks. He got his first head coaching job in Florida from 2011-2014. He went 28-21 in four years and just 17-15 in the SEC. His record is inflated by an amazing 2012 season where the Gators went 11-2 and ended the year losing in the Sugar Bowl. That season was followed up with 4-8 and 6-5, leading to his departure. Including this year, Muschamp is 20-14 at South Carolina, entering Saturday. These schools have a history of sharing head coaches as Steve Spurrier was the Florida coach from 1990-2001, had a two year stint in the NFL, before coaching South Carolina from 2005-2015. He was 122-27-1 at Florida and 86-49 at South Carolina. He never won the division title with South Carolina. Alabama is currently #1 in the College Football Playoff rankings, but did you know that Mississippi St was the first ever #1. Yup, back in 2014 led by Dak Prescott the Bulldogs got off to an outstanding start. Their first loss came against Alabama that year. Ironically Dak Prescott lost because of a big performance out of Alabama WR Amari Cooper, who is now his new teammate. It just felt like Auburn’s entire 2013 season was a miracle. After losing week 4 to LSU, they rattled off 5 straight wins and were 9-1 facing Georgia at home. Auburn won the game 43-38, in a game that would become known as the “Miracle or Prayer at Jordan-Hare”. Jordan Hare is the Auburn football stadium and the miracle/prayer refers to the fact that the Tigers won the game on a 73 yard touchdown pass from QB Nick Marshall to Ricardo Louis. This wasn’t your typical hail mary, it was a deep pass that Georgia defender tipped up and Louis snuck by, snagged the ball from mid air and took it all the way. Auburn would go on to beat Alabama via a bigger miracle two weeks later and lost in the National Championship game. Since that season, Auburn is just 26-20 entering 2018 and 32-23 including this season. Georgia needs this win to continue their push towards a second consecutive college football playoffs appearance.